The future is here! Or, at least it’s trying really hard to get here. 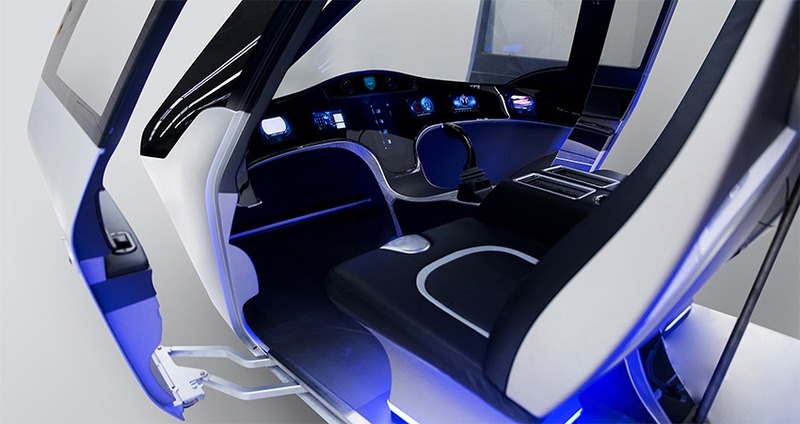 Bell just unveiled an innovative air taxi concept that they currently have in the works. This announcement took place at the Consumer Electronic Show (CES) 2019 in Las Vegas. We’re talking about a full version of a regular urban taxi with a little twist – it doesn’t drive, it flies! That’s not something you come across everyday – but Bell hopes that someday soon, it will be. The Nexus air taxi is built upon a mockup that Bell first showed to the public last year. It has a central wing, a V tail with a horizontal stabilizer and integrated skids for landing. The actual model is expected to use a hybrid electric engine to run six fans installed around the taxi. Each of the fans will also have an individual electric motor installed. 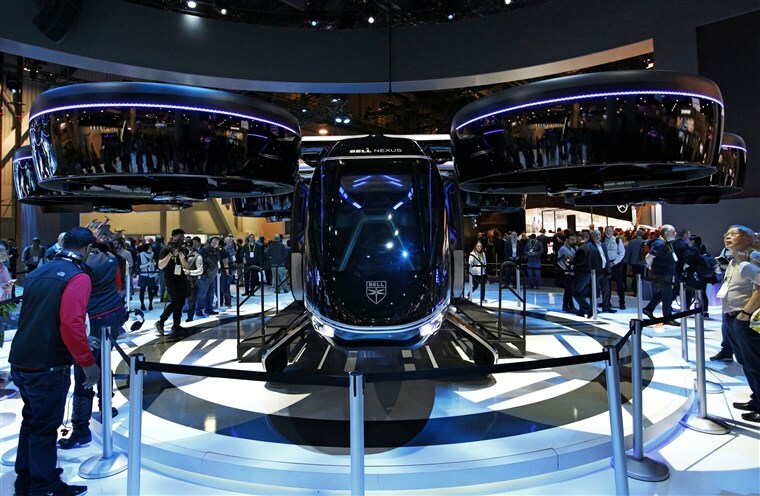 Bell decided to go with a six-fan system to have more space for passengers than similar eight-fan vehicle concepts have, it also provides a better maneuverability than four-fan flying vehicles would have. All fans are ducted, which also allows the taxi to have a quieter noise signature than its competitors with open rotor design. Bell has partnered up with Nexus who will provide a hybrid propulsion and driving systems. 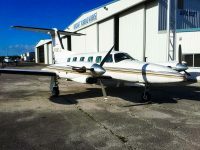 As for other parts – Moog will be responsible for developing a control actuation systems, and Garmin will provide the vehicle management computer and the avionics. The vehicle will be able to carry up to 5 people – 4 passengers and an operator. Nexus is also considering a possibility to quickly change the set up for a fully autonomic air taxi with a 5-passenger capacity using autopilot. The air taxi is expected to be delivered to the market in the 2020-s. This year, Bell has plans to develop a system that will teach pilots and operators to fly the taxi. For this purpose, they are creating an augmented reality flight simulator with single, dual, and tri-control configurations. The educational system will be based on the latest helicopter simulators. While air taxi’s will be able to cover you if you need to get from home to work as fast as possible, you’ll still need something slightly bigger for regular leisure or business travel. all of the glorious private jets we have to offer. They will take you anywhere you want in no time at all. Sure, you can still use an air taxi to get to the airport more quickly once it’s delivered to market, but there is no substitute for a private jet when it comes to luxury traveling. 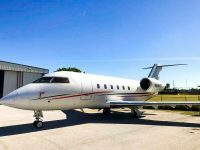 At Miami Jet, we have a team of professionals who are ready to help you with all of your private aviation needs, such as selling your jet at the highest possible price, finding your perfect aircraft, or helping you with aircraft financing. Miami Jet is your number one go-to company in the private jet industry. Contact us today – let’s work together!